Honolulu, Hawaii — After two days of sightseeing and public appearances, Patrick Makau, Peter Kirui, and Isabella Ochichi will get down to the business end of their trip to Honolulu Sunday morning as the 3rd Hapalua, Hawaii’s Half Marathon begins along Waikiki Beach (see start schedule below). Makau ran the fastest time under 2013’s torrential downpour, 65:28, but because The Chase format was in play, where the top pros had to chase down 24 top local runners given head starts, Patrick only crossed the finish line in 16th place. This year Makau is coming off an injury which derailed the rest of 2013, a year he saw his world record fall to countryman Wilson Kipsang in Berlin. The Hapalua will be Patrick’s first competition since a hollowed out 2:14 at the 2013 London Marathon last April. He’s just now getting back to real training. Isabella Ochichi is on the comeback trail, too, after an endless seven year layoff. With the Honolulu Marathon already on her December schedule, this first visit to Oahu is as much an audition as anything. 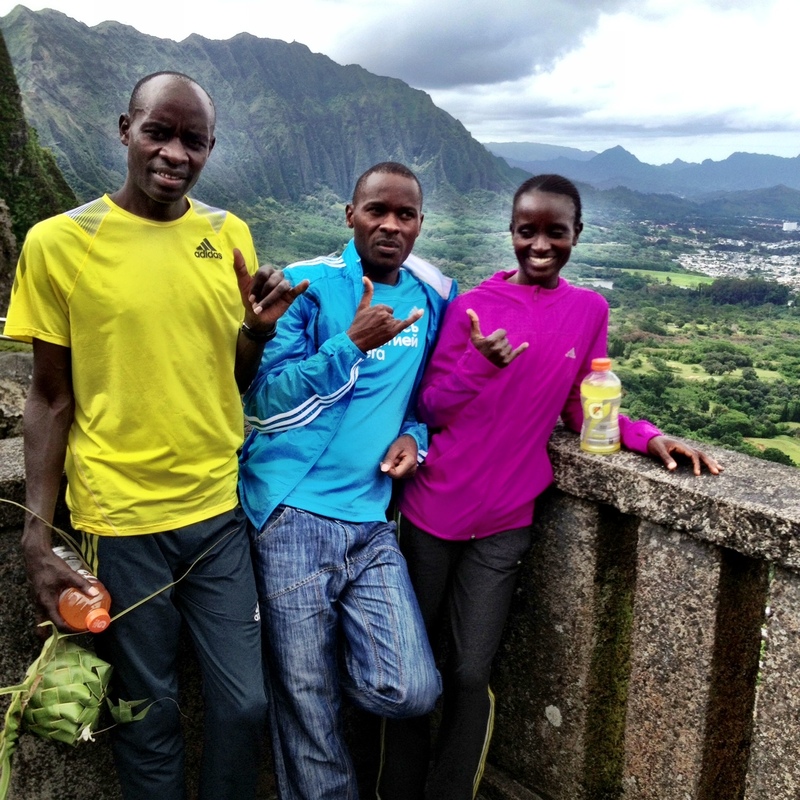 Strangely, there has never been a Kenyan women’s winner at the Honolulu Marathon. The Hapalua will let her test the tropical conditions. She is healthy now, but being sensible with her return to form.